Track My Mac app will create report and even take pictures of those who tried to access the Mac without permission. It is really disappointing and heartbreaking when an individual loses valuable things that are highly treasured, for instance Mac. The worst part is that it becomes hard to trace them back if they are lost or to even get them in the case that they have been stolen. Keeping in mind the investment that has been placed on Mac, there is always the need to take keen actions to properly maintain them despite the fact that they are prone to the risk of getting lost. After innovation of different gadgets to keep track on valuable items like Mac (which did not fully serve the purpose), it is not until recently that Track My Mac app was unleashed. Clearly speaking, this is an incomparable app that has come out perfectly to exhibit exceptional performance that is absolutely commendable. 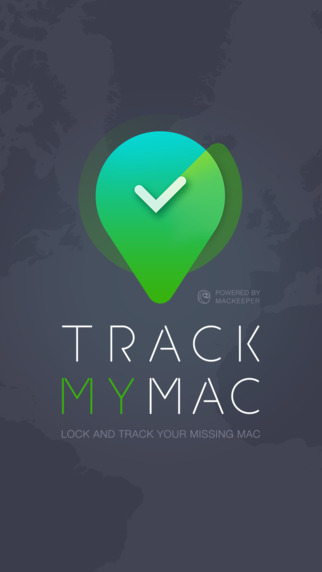 Being a product of Kromtech Alliance Corp, a reputable company known for creating high standard apps, Track My App is an absolute choice for any Mac owner, companies, institutions and even security agencies. 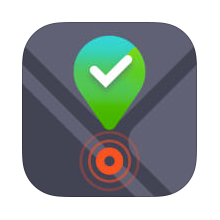 Interestingly, this English-based app brings a completely new approach on how to track lost or misplaced. It has been designed in a manner that it not only help an individual regain back the lost item but also track down the thief who could have stolen it. This process is achieved once there has been proper connection between the user’s iPhone and the location tracker. 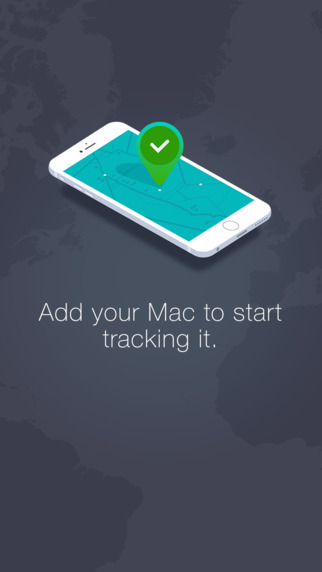 Track My Mac is meant to give the user the peace of mind through providing consistent track of the current location of the Mac. Besides, it will also act as a channel the owner can use in case the Mac was left unlocked. The screen lock will just perform that task efficiently! With great capabilities portrayed by this amazing app, it is actually a must recommend in order to boost the security of any Mac. Strong, efficient and high quality performance will always be reflected on the devices that meet such high capabilities. Track My App takes into account high quality formation thus implying that it will effectively work on devices such as iPad, iPhone and iPod Touch. Users can always experience quality output that meets their expectations in such highly defined devices. At first, the user needs to ensure that the location tracker has been turned to active mode. This is in order to enable it to apply the Geographical location services (from Google). 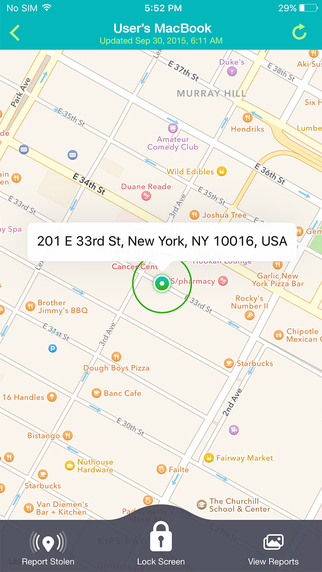 Besides, the Anti-theft feature also plays a great role in facilitating recent updates in relation to Mac’s location. Each time the illegal holder of Mac creates an internet connection using the Mac, Track My Mac app will detect the thief’s location and create an instance report. Apparently, this is followed up by the photo (iSight type) of the thief that is accessed using the mobile device. This similar case happens when an incorrect password is entered; the thief’s body appearance is captured together with a report generated to facilitate quick tracking. Sometimes one might forget to lock the screen of the Mac only to realize while already at a distant location. Track My Mac app will perfectly facilitate the locking and unlocking process through the internet platform regardless of one’s location. Apparently, Track My Mac app will create report and even take pictures of those who tried to access the Mac without permission. This occurs when wrong password is made in order to login. Spy Lock doe it all! 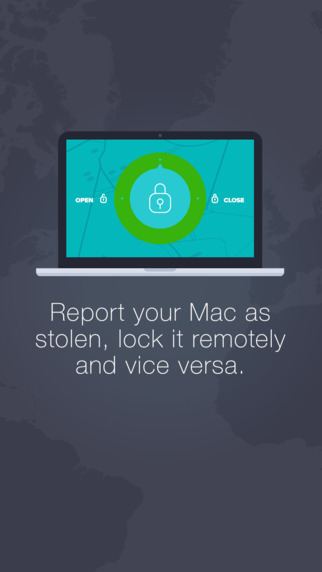 Every detail of whereabouts of the thief is provided together with a report created to ease the process of tracking down the stolen or lost Mac. 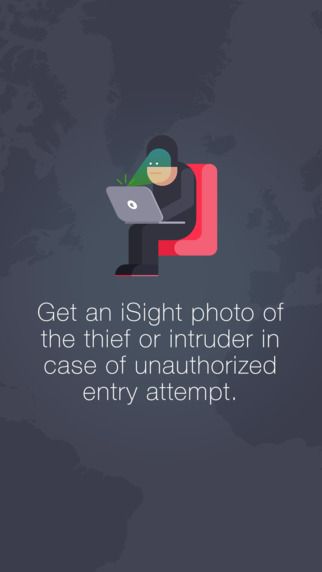 Besides, the iSight photo gives clear evidence of the real culprit who could have stolen it. The Track My Mac app supports integration of quite a number of different Macs which can be linked together to be monitored at once. This can save one on cost and time of having to download many of this app. Once an individual has realized that the Mac is lost or stolen, one needs to take a prompt action and issue a report on Anti-theft option, through indicating “stolen” caption. This will enhance fast tracking and quick location. In summary, Track My Mac is an app to watch when it comes to high performance, great quality and reliability. Great reviews obtained from honest users gives it a high rating (5-stars) proving that it has brought great satisfaction and exceeded users’ expectations. Don’t miss such a great relieving experience by getting this incredible app now at App Store! Unfortunately in my experience the tracking is completely off the mark… even after troubleshooting for an hour with a Kromtech service desk employee, there is still a 32 mile discrepancy between where my Mac is currently located (i.e. on my kitchen table in my home in Antwerp), and where Track My Mac claims it is (i.e. in a street somewhere in the centre of Brussels). The service desk employee had to give up in the end, and I simply uninstalled the app.